Some Indian luxury brands are finally acquiring a global reputation. A decade ago, Leonard Lauder, Chairman of cosmetics giant Estee Lauder, while attending the Elizabeth Hurley-Arun Nayyar wedding in Jodhpur, was so enamoured by the ayurvedic beauty products of Forest Essentials that he acquired a minority stake in the company. One of India's premier hotel chains, the 1934-born Oberoi Group of Hotels, has time and again been recognised as being among the best in the world. But these have been exceptions, and until recently, few Indian luxury brands have made the global cut, having largely a reputation for being kitschy. Overseas, a "Made in India" tag was hardly an asset amid the swish set. This is not the case any longer; not when Nirav Modi has his eponymous jewellery store on Madison Avenue, New York, or when Sujatha Keshavan, Ravi Prasad and Meeta Malhotra have set up their new luxury clothing outlet Varana on Dover Street, in London's Mayfair. Three Indian companies - Gitanjali Gems, Titan and PC Jeweller - have made it to the Top 50 of Deloitte's "Global Powers of Luxury Goods" list for two years in a row. More importantly, young Indians are confident enough now to use Indian luxury goods, not bothered by what the rest of the world thinks of them for doing so. "Members of the younger generation are well travelled, proud to be Indian, and don't need international brands to validate their standing," says designer Gautam Sinha, who runs the handcrafted leather brand Nappa Dori. Here's a listing of some iconic Indian luxury brands. Jaipur's Gem Palace, in existence since 1852, has lately focused on Indianinspired Art Deco collections in platinum with emphasis on precious stones such as Colombian emeralds, Burmese rubies and Sri Lankan sapphires. 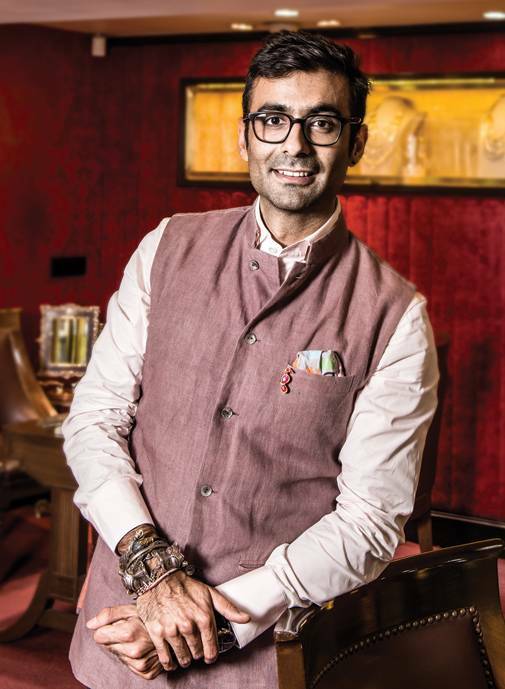 "We have moved away from the extremely heavy towards fine, intricate jewellery, where the value of the stones takes centre stage," says Siddharth Kasliwal, 31, the ninth generation scion of the House of Kasliwals that owns Gem Palace. His second collection - the Sindoor Collection - pays homage to his late father, Munnu Kasliwal's legacy, and consists of seven pieces of jewellery utilising the traditional Indian technique of kundan. Siddharth has also included his father's favourite Old Mine Diamonds as a part of this collection. Apart from the flagship store on Jaipur's MI Road, Gem Palace has seven owned stores across India as well as three franchised ones in Istanbul, New York and Tokyo. It has had Princess Diana, Jackie Kennedy, Oprah Winfrey and Nicole Kidman among its growing legion of patrons. 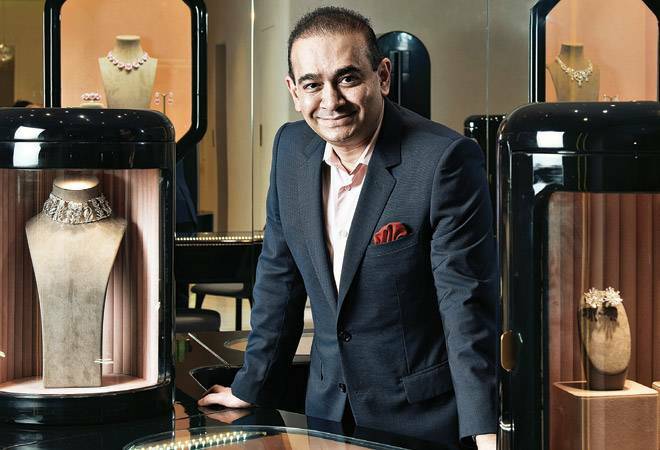 With many firsts to his credit, Nirav Modi, 46, should have been happy resting on his laurels. Nothing is further from his thoughts. "I want my design jewellery to be such that while the diamonds in it may be sourced or cut anywhere in the world, every piece has to be made in my workshop," he says. He feels his global journey has just begun. "We plan to have 100 stores worldwide by 2025." He began with a bang in 2010, becoming the first Indian jeweller to be featured on the cover of Sotheby's and Christie's auction catalogues. "We want to do things that are unimaginable," he says. If his patented diamond cuts and revolutionary embrace collection jewellery that stretches like elastic, are anything to go by, the maestro has pulled many a rabbit from his hat and is likely to produce many more. Raised in Antwerp, the world's diamond capital, Modi moved to India in 1990. At first he was only involved in diamond manufacturing. He started designing quite by chance, at the behest of a friend he bumped into at a dinner. The rest is history. 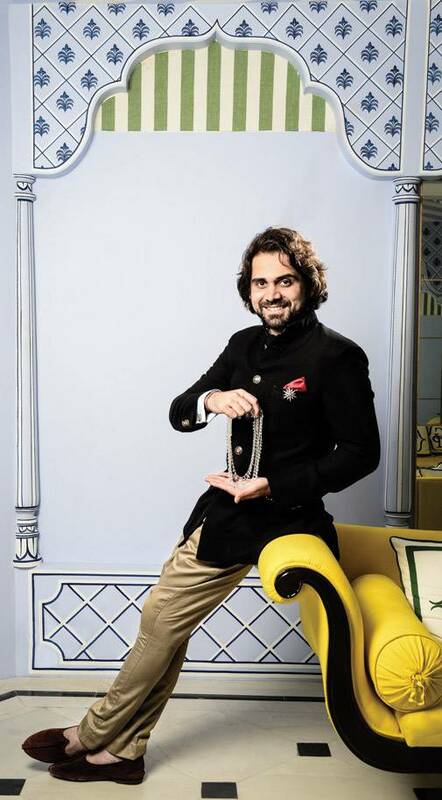 "I'm happy to say that we have reinvented ourselves," says Tarang Arora, 35, Creative Director and CEO of Amrapali Jewels, started in 1978. If timeless is one way to describe Amrapali's aesthetic, international is another. Starting with Hollywood A-listers Angelina Jolie, Halle Berry, Sandra Bullock and Megan Fox, the House of Amrapali boasts a remarkable following. Amrapali was begun by Rajiv Arora and Rajesh Ajmera. They started trading in handicrafts. A year and a half into the business, they heard about the great demand for garnets, a stone cut in Jaipur. They decided to explore it and discovered the world of jewellery. By 1981/82, they had started selling avant garde designs with a chunky, bold aesthetic, which began with silver and has, over the years, moved on to fine jewellery too. "our designs reflect Indian craftsmanship," says Arora. Indian sensibility with a western appeal helped them get global fame, in 2002, when they were invited to Selfridges for a special promotion - "23 and a-half days of Bollywood". The contract was only for 23 days, but 15 years on they are still at Selfridges. In 2011, theirs became the first Indian brand to be invited to Harrods to be part of its fine jewellery room. Just as fashion is not limited to clothing, art is not limited to walls or pedestals. 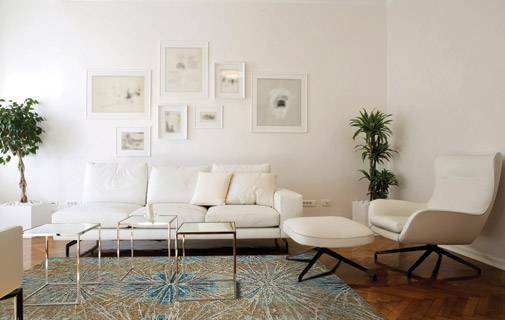 Mumbaibased designer and entrepreneur Ayush Choudhary's Cocoon Fine Rugs has transformed carpets and rugs into art for the floor. 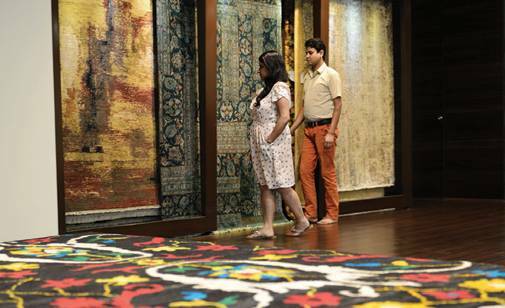 What started in 2009 as a single shop dedicated to luxurious carpets in Mumbai has now grown into galleries in Bangalore and Kolkata. Over the years the brand has teamed up with several architects and fashion and interior designers. Fashion designer Varun Bahl created carpets inspired by the baroque period for his collection Baroque Garden, while architect Rooshad Shroff took design cues from traditional Indian flooring patterns of heritage Parsi bungalows for his collection, Tessellations. There was also interior designer Ashiesh Shah's Chand LC collection, in which Chandigarh's old iconic buildings, designed by Le Corbusier, formed the basis for the design. "Our exotic rug collections - Alchemy, Colours of Life, Kashmir, Enchante and Urbane to name a few - are a true reflection of the finely honed skills of our craftsmen and of the delicate intricacy of their designs," says Choudhary. Prices range from Rs40,000 to Rs2 lakh. Jaipur Rugs was started in 1978 by Nand Kishore Chaudhary, who wanted to eradicate middlemen in the supply chain. He borrowed Rs5,000 from his father and started with just nine artisans and two looms, on the principles of "equity, empathy and dignity". Today, the brand connects 40,000 artisans from 600 villages with a clientele spanning 40 countries. "We are among the first brands to get original designs created by rural weaver communities. These have gone on to win top global awards as they are handcrafted using reclaimed yarn," says Kavita Chaudhary, Design Director, Jaipur Rugs. "Nearly 80 per cent of our weavers are women." Jaipur Rugs has also chosen not to replace hand-spinning jobs to machines, and continues to work with over 2,500 women yarn spinners from Bikaner. That India could produce a whisky that would win the third Finest Whisky in the World award from Jim Murray has been an eye-opener. "Putting India on the world whisky map is what we are most proud of," says Thrivikram Nikam, Executive Director, Amrut Distilleries. It is one of many awards the company has won since it was started by Neelakanta Rao Jagdale in 2004. Amrut's latest releases are Amrut Greedy Angels 8YO and Amrut Amalgam. The first consists of Master Distiller Surrinder Kumar's combination of un-peated ex-Bourbon cask, peated ex-Bourbon casks and a little bit of ex-Sherry casks as well. The second, just released in Maharashtra and retailing at Rs4,300, is considered a one-of-its-kind whisky. 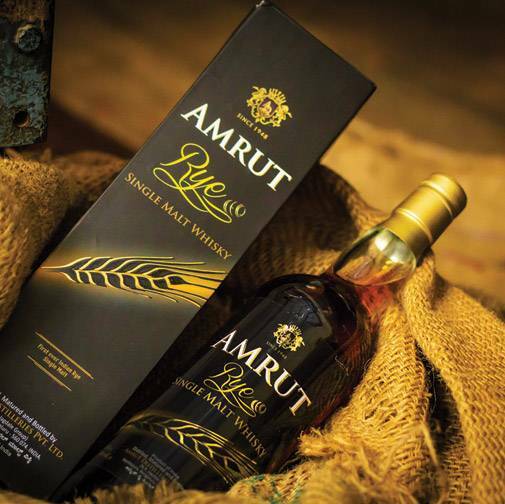 "For the first time in India, we have brought together an amalgam of fine malts from Amrut's own distillery, world-class malts from Scotland and select malts from Asia. Until now, we were offering single malts from Amrut, but always had the desire to explore the world of pure malt whiskies," says Nikam. A bottle of Amrut greedy angels (12 yo) is priced at $1,000. Indian tea is equated with masala chai. the soon to be launched Tasse De intends to change this perception. The company will introduce 300 different varieties of tea, including blends created by founder Jiten Sheth, an International Tea Masters certified tea blender. Each variety will have medicinal and health properties. "My father's interest in teas spans 20 years," says Rohak Sheth, 28, co-founder. "We realised the size and value of the tea market and saw the glaring gap that exists when it comes to premium teas which are also good for health." Prices: from Rs500 to Rs25,000. When Gautam Sinha set up Nappa Dori in 2010, he intended to produce goods which fused Indian artisanship with design influences from the colonial period. With eight standalone boutiques across India and elsewhere, his Nappa Dori had sales of over $1 million in 2016. "India is not the easiest place to do business, especially for small scale enterprises, but I feel the market is growing," he says. Prices: Rs13,500-17,200 for large trunks. 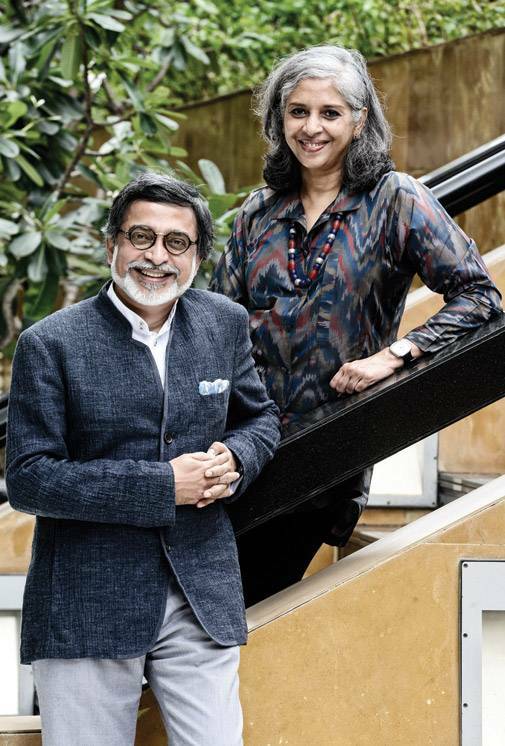 Started by Sujata Keshavan, Ravi Prasad and Meeta Malhotra, Varana has had to work extremely hard to adapt Indian fabrics to the luxury sector. The three worked on making fabrics stable, with the right kind of hand-feel. Hand-feel is very important to the global luxury market, but not much sought after in India. If printed, the fabrics had to be free of toxic azo dyes. The fabrics draw inspiration from traditional crafts, but innovate with design to make truly modern and sophisticated fabrics, working with garment designers from Italy, France and Japan. "India has so much to offer the world that is beautiful and unique. In a very idealistic way, we wanted to say to the world: See what we can do in India," says Keshavan. Next on the agenda is a hybrid model of retail with brick-and-mortar stores, concessions and wholesale in department stores, along with an e-commerce website to sell all over the world. Prices: From 300 pound (linen shirt, or cotton trousers) to 2,500 pound (cashmere coat) and pound 10,000 (one off hand-painted and embroidered heirloom shawl).